FROOT was the first single released from Marina And The Diamonds’ forthcoming third studio album, and an amazing return to form for one of our favourite singer/songwriters. It was released October last year but is getting a new lease of life in the form of this storming new reMix from Brooklyn’s breezy ElectroPop exponent; St. Lucia. St. Lucia’s reMix was worth the wait, the man morphs the massive Pop epic into a quirky but imposing floor-filler. Building upon the foundations of a House beat and machine bass, St. Lucia avoids falling into the obvious trap of producing a big commercial dance track but putting Marina’s eclectic vocal from and centre amongst swirling synths. Not hint of a trance lead anywhere, instead we find catchy SynthPop hooks. Good job St. Lucia! Marina And The Diamonds’ FROOT single is out now, the album is due to drop 16th March. 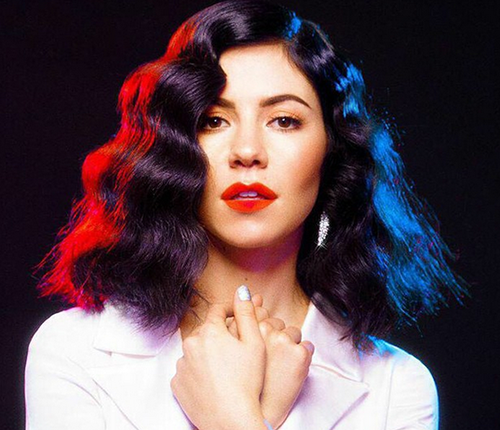 I’m A Ruin is the fourth track to be released from Marina And The Diamonds’ forthcoming FROOT album. It’s an epic and brooding Pop belter. Markus Lundqvist directs the cinematic clip, with shades of Madonna’s Frozen video, which is simply laid out but stunningly shot. Marina And The Diamonds FROOT album is released in full 6th April. Marina And The Diamonds’ FROOT, the first single from the forthcoming album of the same name, sees her back on quirky ElectroPop form after some flirting with big room Pop, and it’s a welcome return. The video is all soft-focus and glamorous, but as-per usual Marina never takes herself too seriously. Marina And The Diamonds is back on form! Saying that though, for a long time I had reservations about her second album, Electra Heart. The bland production from mediocre producers like Stargate and Dr. Luke felt so out of place with Marina’s dark and quirky songs. But going back to it it’s actually really grown on me in recent months, but mainly due to her incredible songwriting though. 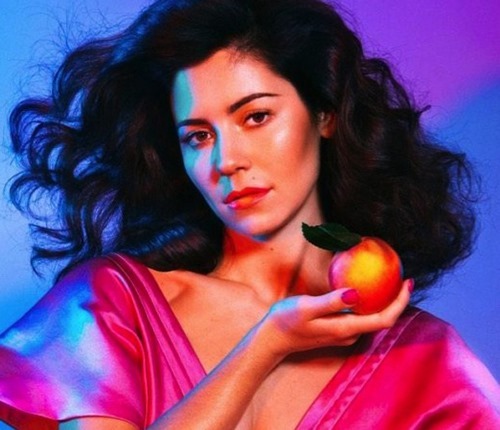 This first taste of what’s to come from Marina is in the form of FROOT, a track co-produced with David Kosten and makes us a lot more optimistic for album number three. FROOT swings between raw ElectroPop and Electro-Rock and, like Marina’s first album, doesn’t feel like it;s pandering to anything. This is uncompromising Pop music, with pounding beats, grinding synths and Marina doing what she does best, sugar coating darkly satirical lyrics with a catch sheen. Marina is without a doubt one of the best songwriters on the planet right now, even if she (or her label more likely) sometimes get the vehicle for those songs wrong. FROOT leaves us optimistic that her forthcoming record could channel the off-kilter genius of The Family Jewels. After two years, here is the eleventh, and final, part of Marina And The Diamonds Electra Heart epic. Electra Heart is the characters swan song which kinda mashes up all the styles on the album. Whilst he hope we get old Marina back now, we have to applaud her for her vision. The video, like the song, is a reflection on the last two years of Electra Heart’s journey. Marina And The Diamonds’ Electra Heart album is out now. This is the new video from Marina And The Diamonds, it’s for Lies, one of the better, if a little Dubsteppy, track from her second album Electra Heart. The clip is part 10 in Marina’s Electra Heart epic, of which we have lost track by now, but as a video it looks pretty awesome. 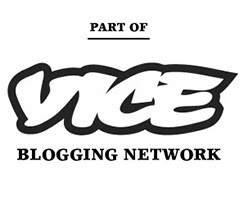 Inevitable collaboration of the century? Or the collaboration we always expected to happen, but never really thought, for whatever reason, would happen. But it has. Not content with being US tour buddies and generally hanging out and causing trouble, the two most interesting female ElectroPop artists in the UK Charli XCX and Marina And The Diamonds have only gone and done a track together! Put together in celebration of their impending North American tour together, which kicks off today, the duet, Just Deserts, reeks of raw emotional power, and fun. These guys obviously had a good time recording the track, and amongst the pulsating synth bass and tribal drumming is a powerful song that plays perfectly to this duo’s take on girl power. It also plays to both of their vocal strengths, before listening we wondered how their two very distinct vocal styles would mesh, but their almost call-and-response direction allows their voices to weave in and out of each other. This track is mesmerizing. 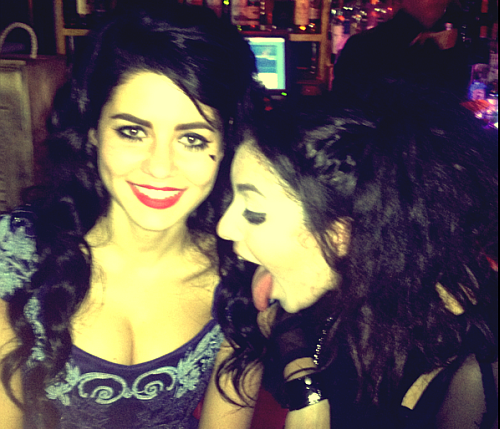 Charli XCX’s True Romance and Marina And The Diamonds’ Electra Heart albums are both out now. Marina And The Diamonds chose Valentine’s Day, yesterday, to drop a brand new track, the fittingly titled E.V.O.L. Which is very nice of her, what’s double nice is that E.V.O.L feels like old Marina, pre-Stargate-produced-big-90’s-Trance-leads Marina. And we love it! 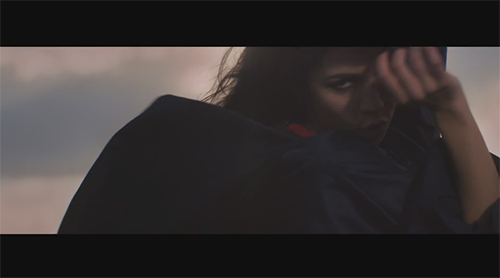 So, here’s the new video from Marina And The Diamonds, How To Be A Heartbreaker. There’s been a lot of talk about it this week after her label (Warner Music, not 679 Artists) delayed it because they thought she looked ugly in it. Well, someone at Warner Music is obviously a fuckwit as, unsurprisingly, Marina looks smoking hot in the clip. It’s one of the better songs on her second album too, one of the ones not ruined by Stargate’s big 90s Trance lead sounds. 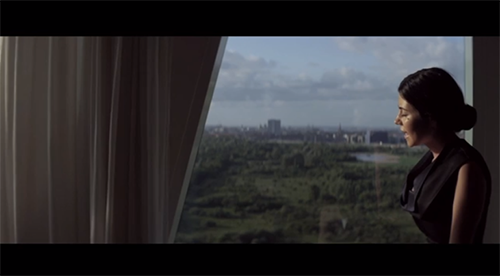 This is the sixth video instalment, and third proper single, off Marina And The Diamonds’ ‘Electra Heart’ album/project. Back to the proper power Pop, more grit, less big Trance riffs let’s Marina’s voice shine through.